Evans, Sir Richard. Deng Xiaoping and the Making of Modern China. "Fifth Plenary Session of 11th C.C.P. Central Chinese Committee", Beijing Review, No. 10 (10 March 1980), pp. 3–22, which describes the official Liu rehabilitation measures and good name restoration. 1977–1980, CHINA, US State Dept, published 2013. 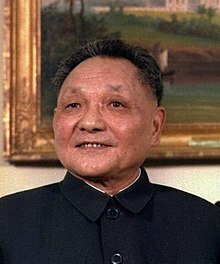 Tyler, Patrick E. "Deng Xiaoping: A Political Wizard Who Put China on the Capitalist Road." (Obituary) The New York Times. 20 February 1997.